Home Grammar and Vocabulary Commonly Confused Words Are you using these English words incorrectly? The English language contains many words which can cause confusion for learners. It's common for a word to have several meanings or to be pronounced and spelled the same as other words. For example, homophones are words that sound like other words but have a different spelling and a different meaning. Homonyms are pairs of words which are spelled and pronounced the same but have a different meaning. Homographs, are words which are spelled the same as another word, but have a different meaning and pronunciation. With so many words that appear similar to others, it's easy to make mistakes. 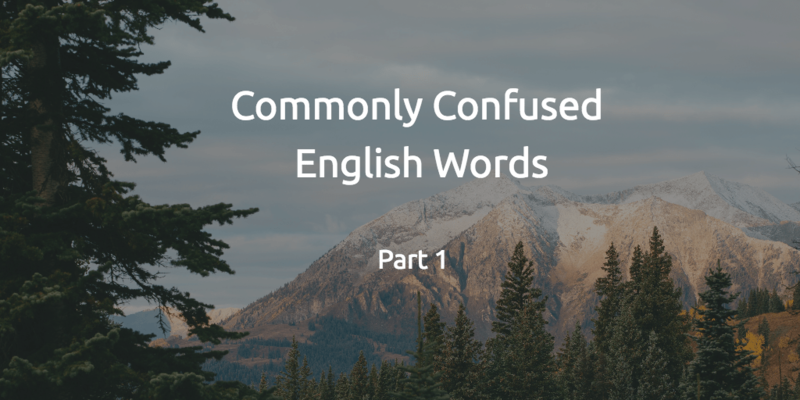 This is the first instalment of the Commonly Confused English Words blog which will explain the difference between these pairs of often misused words in English. The verb compose means to create, build or put something together. This could be a poem, letter or even yourself. When a noun comprises other things, it means that it is formed by these things. It is a common mistake to use the preposition of after comprise. It's not necessary to use a preposition after this verb. Franz Schubert composed hundreds of pieces of music in his short life. This apartment comprises three bedrooms, a bathroom and a large kitchen. Envy is an emotion that is felt when one lacks something. It is the feeling of wanting what someone else has and resenting them for having it. Jealousy is a reaction to the threat of losing something or someone. An emotion that comes from the idea that someone is trying to take what's yours. She is envious of her friend's holiday to Thailand. She would love to travel there too. When my brother spends time with his female friends, his girlfriend often feels jealous. If you adopt something, it mean that you accept it as your own. However, to adapt to something is to change in a way that allows one to deal with new circumstances. I would love to adopt a rescue dog. You might find it hard to adapt to the responsibility of owning a pet. The preposition except is used to show that something has been excluded. We use the verb accept to describe a situation in which someone consents to receive something. The library is open every day except Sunday. Please accept my apologies for being late. A complement is an addition to something that improves it. If you pay someone a compliment, you make an admiring remark about them. This red wine complements the meal very well. The food is delicious. Please pass on my compliments to the chef. These are just a few of the the words which can confuse English learners. Can you think of any more? Post your answers in the comments section below and I will include them in the next Commonly Confused English Words blog. If you have any questions, you can contact us here or email us at Intrepid English. Book a free trial lesson today and talk about your learning goals with an experienced native English teacher. Say goodbye to boring English lessons; discuss incredible TED Talks, study market-leading text books, learn all about Britain, prepare for globally recognised exams, explore your favourite English books or improve your conversational English by talking about any topic that you find interesting. If you're not sure what you want to learn, let your teacher choose from the huge range of English courses that have been tailored to help our students to achieve their goals. 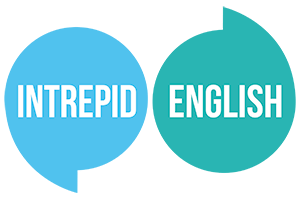 Get up to 10% discount on lesson bundles, and even win a free English lesson when you refer your friends to Intrepid English. Image credits: Adapted from photography for DTS by Seth Dunlap https://vimeo.com/sethdunlap, Patrick Chin @iampatrickchin and Calen & Kristy Rhome https://www.whiteinrevery.com.